Web RunTimeis one of the possibilities that Nokia provides for creating applications for mobile devices. If you’re a web developer, you do not need much of anything else to start developing for Nokia devices using the WRT. It allows you to create widgets for S60 platform is a browser extension allowing you to Webkit browser instances to run as if they were separate applications. And you can still create rich applications using Flash. 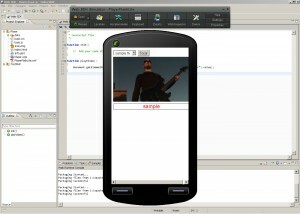 Nokia Web Developer Environment Standalone. Plugin for Microsoft Visual Studio. Guarana WRT UI library – A library based on JQuery for Nokia WRT by staff on INdT(Instituto Nokia de Tecnologia) based in Manaus – Brazil. Nokia Mobile Web Templates – A set of templates optimized for mobile and to customize how you want. And there are some API’s to work with the resources of mobile devices. API Bridge – is a component for Nokia devices with Symbian, which allows WRT widgets content, Adobe Flash Lite and Java applications to access device features through a plug-in architecture. Developers can extend the component APIBridge with their own plug-ins. Info.plist – file responsible for the information of your widget as version, homepage, name etc. index.html – in fact, can be any name that is set in the Info.plist as MainHTML. 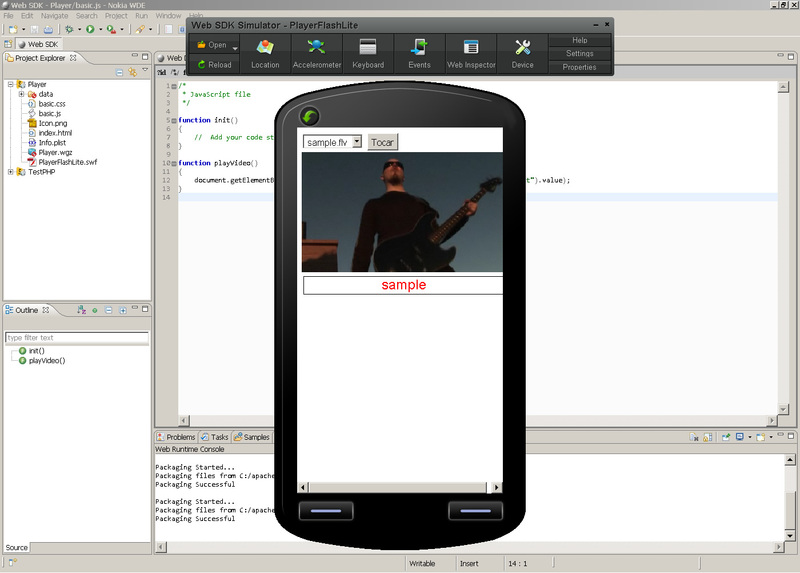 Create a new project of type web apps Symbian-> Basic web app project. Give a name for your project and click next. Basic files are generated for your project. Edit the file basic.js to add the method that will send the video to the swf to be played.